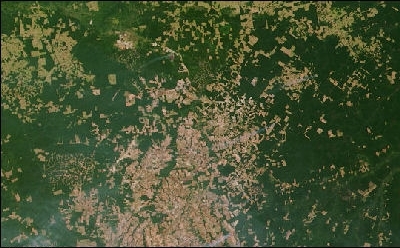 How does remote sensing contribute to sustainable forest management ? The great advantage of remote sensing is the potential to frequently collect data at high spatial resolution over a large area. The cost of acquiring such data is far lower than the cost of conducting periodic field sampling and surveying, the traditional method of monitoring the status of the forests. 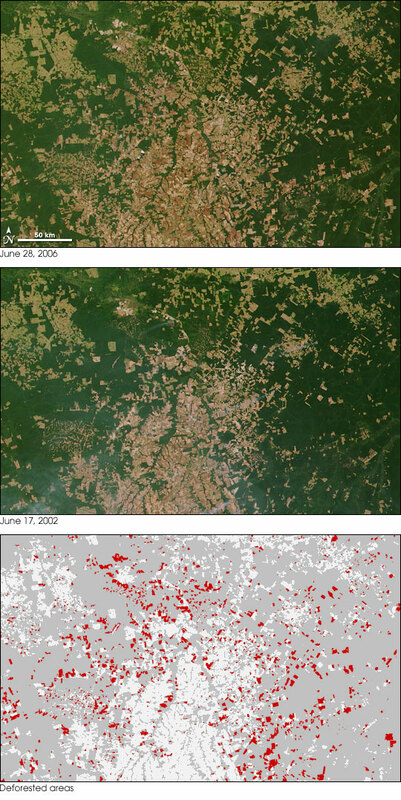 Deforestation in Mato Grosso, Brazil, between 2002 and 2006, as seen by MODIS/Terra. Click on the image for complete view.